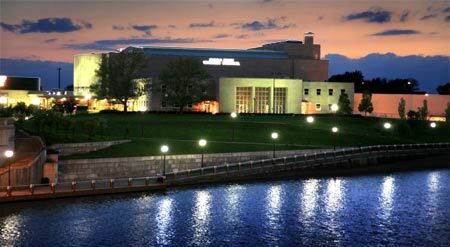 Located on the west side of the Scioto River in downtown Columbus, Veterans Memorial is a flexible meeting and event venue. 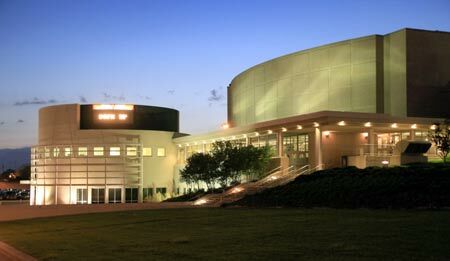 The recently renovated building has long been a meeting building that offers an auditorium with almost 4,000 theater seats and over 110,000 square feet of exhibit space. Located across the street is the new COSI pavilion. Veterans Memorial was built in 1955 and has gone through numerous improvements and expansions. Over the years, Veterans Memorial has hosted some of the biggest names in show business including Elvis Presley, Bob Dylan, David Bowie, Bette Midler, and Neil Diamond. 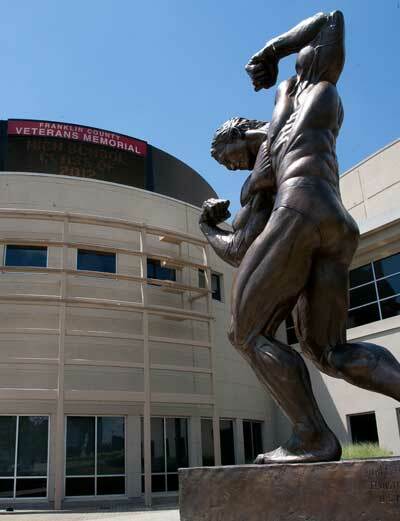 The Arnold Sports Festival has become a premiere sporting event held each year at Veterans Memorial. As of 2012 the event has expanded into the world's largest multi-sport fitness weekend since its 1989 beginning. 2012 also marked the installation of a life-like sculpture of Arnold Swarzenegger in a competitive pose from his bodybuilding days. The sculpture which stands 6' tall and weighs in at 600 pounds is the same as the one placed at an Austrian museum dedicated to Scwarzenegger in 2011. The sculpture is based on a 22-inch prototype created in 1980 by Idaho artist Ralph Crawford that is also used as the trophy for the Arnold Classic.